This year marks the 15th anniversary of Nada Surf's classic album Let Go. The band has an upcoming tour to celebrate. Nada Surf is also producing an album of covers of every song on Let Go with proceeds going to the ACLU and The Pablove Foundation. So far we can listen to one song on the album: Ron Gallo's take on "Happy Kid." Ron Gallo's album, Heavy Meta, just narrowly missed my top 10 of 2017, so this is a perfect combination. Despite Nada Surf curating the album, they seem to be giving bands freedom to make the songs in their own style. "Happy Kid" fits right into Gallo's sound, in that space where roots rock and garage punk fit together. It's definitely louder and noisier than the original, but that's exactly what I would have wanted. 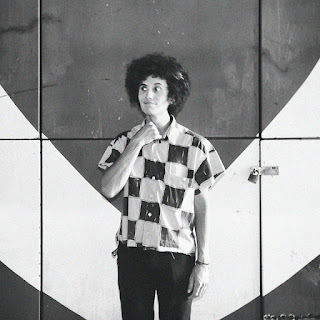 You can listen to Ron Gallo's take on "Happy Kid" below. Standing at the Gates: The Songs of Nada Surf's Let Go will be available digitally on February 2 and on CD on March 2. The album will also feature covers by Aimee Mann, The Texas Gentlemen, Holly Miranda, Charly Bliss, Adia Victoria, and more. You can pre-order the CD through Nada Surf's website and on iTunes.